Whilst being filled with excitement about the upcoming Easter holiday, people of e-Commerce have another hight date to celebrate. 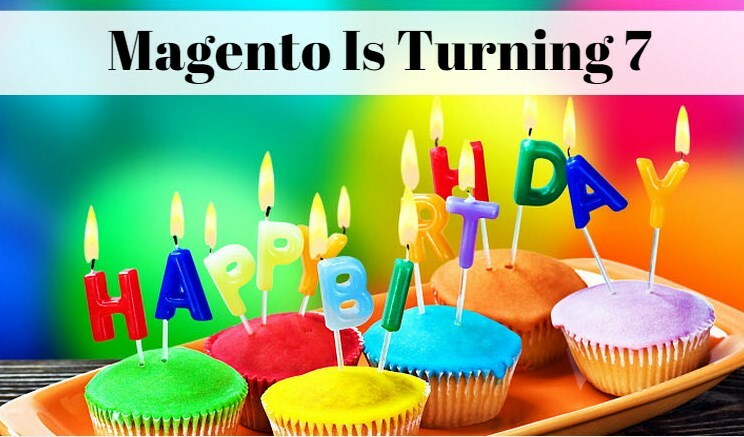 Today, is the birthday of the most prominent, progressive and globally admired shopping cart - Magento. And, as the hundreds of thousands of grateful users around the world, we’d like to join to the congratulations, state the high praises and express our true admiration to the changeless e-Commerce leader. Thus, let’s take a moment and remember which advanced features helped this extraordinary shopping platform to rule the market for such a long time. Although Magento isn’t the easiest platform to master at first, this seeming nuisance is repaid over and above by platform’s staggering capabilities. Particularly, it stands out with great reporting features and effective tools for managing complex discounting. Also, it gives e-merchants an opportunity to manage multi-stores from one admin panel, and provides about all the qualities shop owner can wish for, in general. Not only can merchants create a strong e-shop with Magento, they can also easily push it to the crest of search engine’s lists with its comprehensive SEO and marketing features. Among other tools the platform offers the opportunity to create sitemap, URL rewrites and meta tags. Moreover, it allows users to tie products in bundles and create fascinating newsletters to promote an online store in the most effective way. Along with being utterly advanced, Magento is distinctively flexible and permits every shop owner to build a unique online retailer. Platform’s customization is mainly done via admin panel, but can be also completed with the help of XML modules. This procedure might seem complicated for inexperienced merchants at first, but using a special Magento documentation each one them can handle such task eventually. Due to the overwhelming popularity, Magento has a staggering number of community contributors. Digging deep in it, you’ll almost certainly find an answer to the specific problem or find a particular, helpful module inside the community forum. Additionally, the detailed Magento Knowledge Base, will provide any user with the explicit instruction and help him resolve any issue he’s dealing with. The whole world of e-Commerce is craving for the official release of Magento 2.0 and based on analysis of it’s beta version we can surely claim that it’s worth anticipating. Such drastic changes as transition to the latest versions of PHP and JQuery, simplified customization and modified directory structuring have been already implemented on the beta version. Thus, we can only wonder how many ground-breaking improvements will the official release of Magento 2.0 bring to the market. Meanwhile, you can test how everything looks and works on the new Magento through our free Demo Store, so don’t fail to use such a tempting possibility. On behalf of the entire e-Commerce community we send our compliments to Magento, congratulate it with turning 7 and wish it a further continuous market success. Happy Birthday!